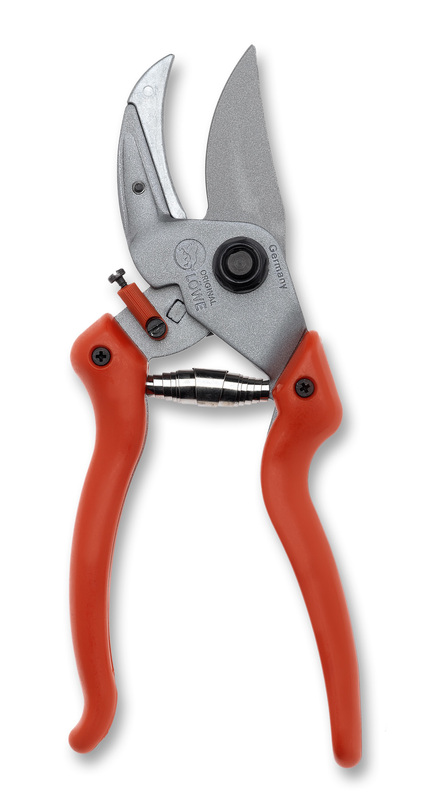 Curved blade anvil pruner with adjustable handle width. 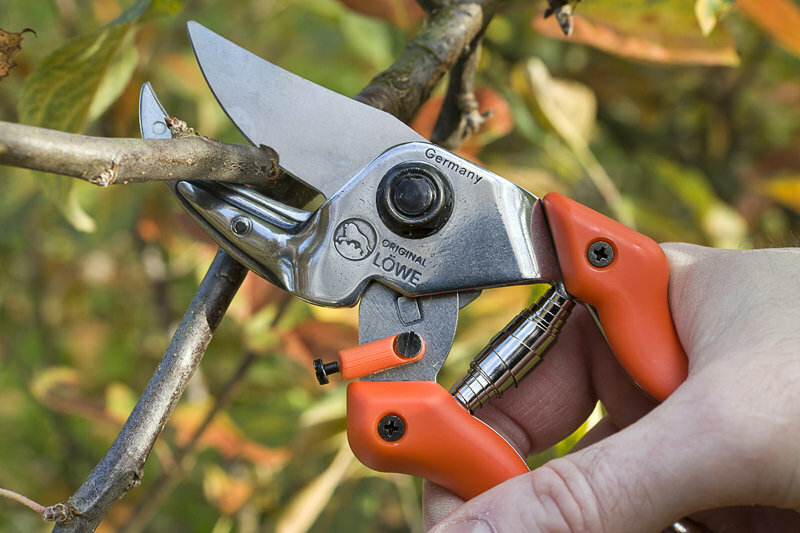 Amazing new curved blade/anvil style combination hand pruner. Unique adjustable handles ensure a perfect fit for any hand size from Medium to Large hands both left and right handed. Maximum cutting capacity is 1" or 24mm.Very little maintenance required. The Lowe 8104 from Germany has arrived! 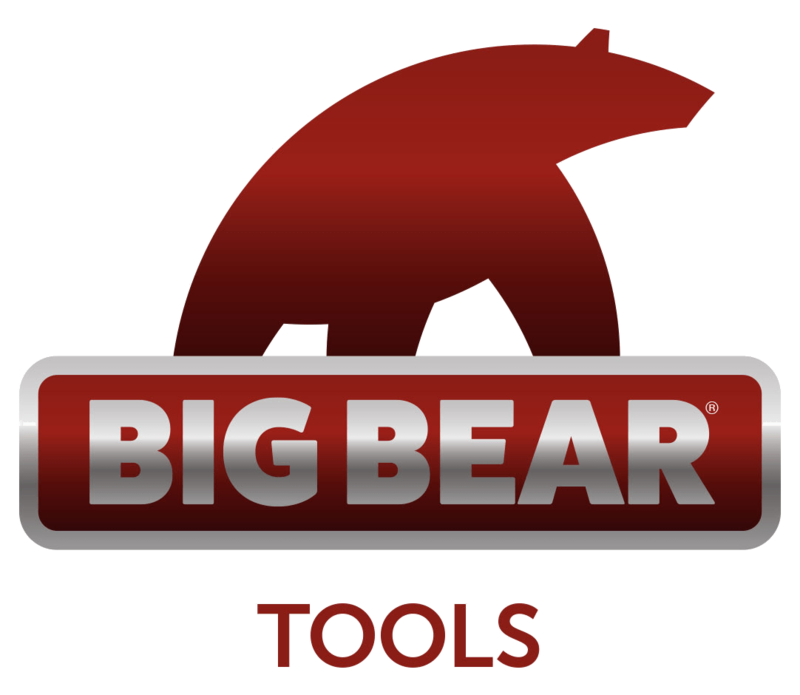 All parts are replaceable and readily available from Big Bear Tools. 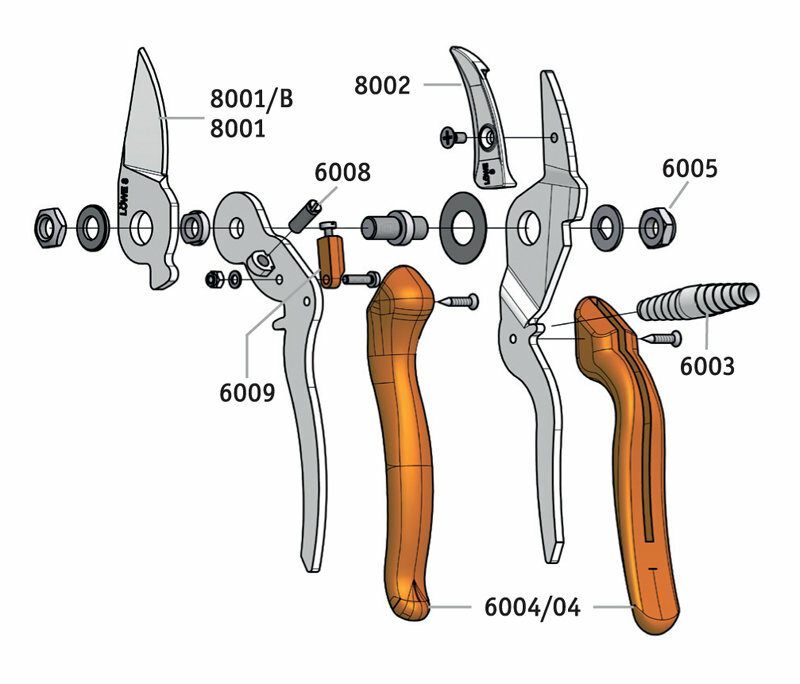 This tool is exceptional in quality and design and receives our "Top Tool" distinction.